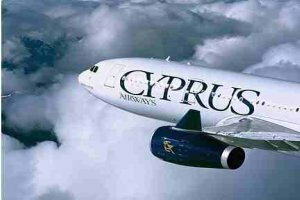 Cyprus Airlines, over 30 including Cyprus Airways and operate scheduled flights from and to Larnaca Airport (5 km from Larnaca town centre) and Paphos Airport (15 km east of Paphos town). The scheduled airlines do not provide transport between the airports and the town terminals, this is something you will have to book separately so speak to your travel agent. As well as booking tickets for cyprus airlines, travel agencies in Cyprus provide booking services and assist visitors in all matters concerning air travel to and from the island. Side Note: A lot of cyprus tourist guide books mention EUROPCYPRIA Airlines. In case you are wondering, and this is not an uncommon thing to be confused about, the difference between scheduled Cyprus Airlines and charter flights is that scheduled are booked for the same slots each week, for the whole year.